We dispense most major brands of hearing aids, including Oticon, Widex, and Phonak. We are active providers for a number of insurance companies including Medicare, Medi-Cal, United Health Care, Blue Cross and Blue Shield. We are also contracted with Brown and Toland, HearUSA, Astrum, EPIC and PIMG. Oticon began in Denmark over 100 years ago, but has its main US hearing aid manufacturing facility in New York. For over a century, Oticon has been making exceptional hearing aid products. Oticon’s newest product, the Opn, helps users hear better and remember more, with less effort, thanks to proven BrainHearing™ technologies that support how the brain makes sense of sound. Our brain processes and interprets the sounds our ears detect. The fewer details of sound the brain receives, the harder it has to work to make sense of it. This can be very tiring for patients and may also impact other cognitive activities, including memory and the ability to engage in conversation. Oticon provides better hearing with less effort by giving the brain the clearest, purest signal to decode! Widex is an American company that was begun by two returning WWII veterans. The company has always maintained their efforts to produce some of best hearing aids available. Widex hearing aids don’t just sound spectacular – they look spectacular too. Combining technology with functionality and aesthetics is a typical attribute of the Widex design. Of course, for Widex, good design doesn’t just apply to the outside of our hearing aids but the inside as well. From the drawing board to the finished article, every aspect of a Widex hearing aid is designed to work, perform, and sound as close to perfect as possible. Their latest product is the Evoke, which evolves in real life to keep getting smarter. Interactive options help you intuitively shape your listening experience, putting you in full control if you want to be. And if you want to lean back? EVOKE automatically makes hearing aid adjustments suited to your needs and your environment. This ensures great sound for a busy life has never been easier! Phonak is a Swiss company that was founded in 1947 and is committed to changing lives through the development, production, and distribution of cutting-edge hearing solutions. They have dedicated more than 70 years investing in research and innovation, striving for superior quality, unparalleled precision, and reliability. It is this level of excellence that has helped us to continuously enhance our product offering. Phonak has been an industry leader in not only hearing aids for adults, but also in amplification for children, as well as state-of-the-art FM systems. Their latest product is the Audeo Marvel that focuses on what you expect from a first-class hearing aid – a clear, rich sound experience. Combined with modern technology it is a multifunctional hearing aid that conveys love at first sound! We provide custom ear protection, musician's earplugs, sleep plugs and swim molds. 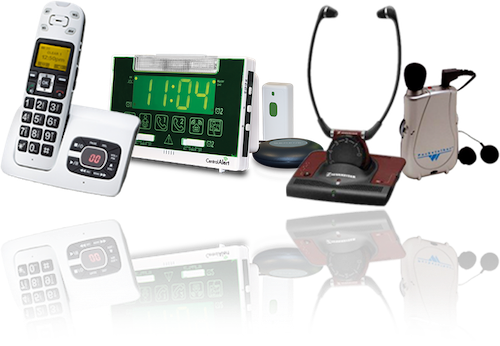 Also available are FM systems for hearing in noisy environments, remote controls for hearing aids, television devices, amplified telephones, Bluetooth neck loops for hands-free telephone and music systems, and alerting devices.